« POLYTUNNEL IS FINALLY COMPLETE! Things have really moved on a pace since the polytunnel went up. 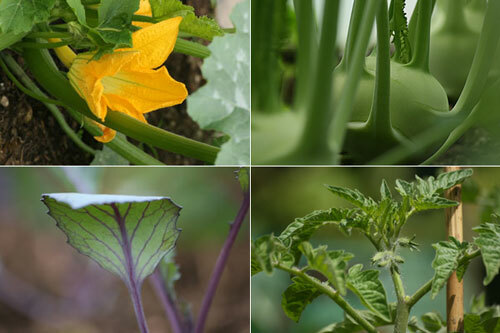 It’s now pretty much full up with fruit and mainly veg, some of which is pretty much ready to harvest. 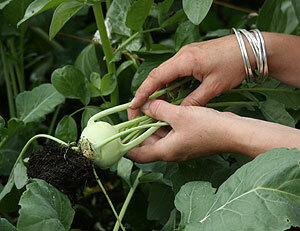 Last weekend we pulled the first of the Kohl Rabi. Also we have radishes, lettuce and rocket which should be ready next weekend. I can’t disguise my excitement when it came to the first of our home grown veg …. even if they were grown under cover. Courgettes, Red Cabbage, Kohl Rabi and Tomatoes are all steaming ahead. Green, Red and Yellow Peppers. Some of the veg should have been planted outside but we just didn’t have access to the house until well into the growing season. So we started the plants off in our old greenhouse and then transfered to the new polytunnel just as soon as it was ready.